In August 1959, John Gallos premiered as a new character: Clancy the Cop. 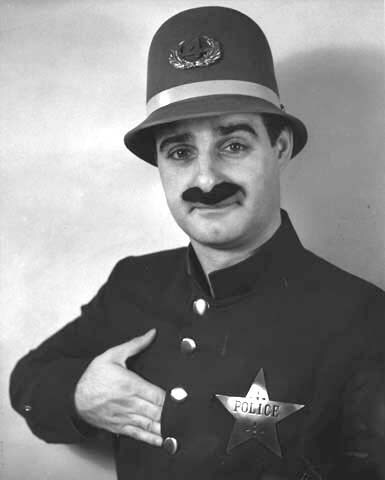 This first version of Clancy is now often referred to as Clancy the Keystone Cop, to distinguish him from the later better-known Clancy. Gallos borrowed some of the vocal mannerisms of Bob Hope’s foil Jerry Colonna for this character (“Aahhh, yes!”). 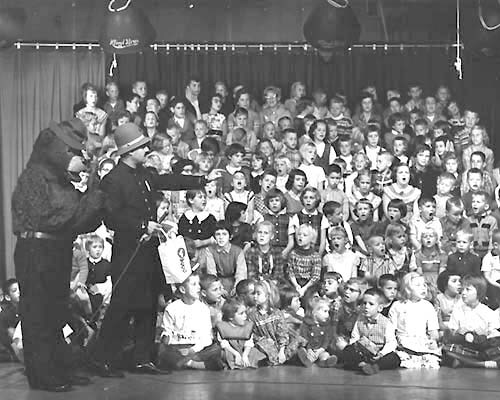 This shot of Clancy the Cop, Smokey the Bear, and a huge mob of kids in the “Peanut Gallery” shows how popular such local kids’ programs were with young baby boomers in the late 1950s and early 1960s.